Listing courtesy of Keller Williams Realty Chester. Wildwood, Rockwood Schools! Luxury new construction in Lafayette Crossing! This 1.5 story model offers approx 7,000 sq ft of fin living space & rich stone/brick elevations to choose from. Upgraded features include: 4 car garage, 10′ foundation pour, 10′ first fl ceilings, exquisite finishes, exceptional craftsmanship and custom millwork throughout. The home features 5 beds, 7 baths (5 full, 2 half). Gourmet kitchen w/center island has top-of-the-line stainless steel appl & custom cabs. The breakfast room is the perfect place to relax w/ a cup of coffee. 2 story hearth room has see-thru gas fp & built-in bookcases. Master suite has tray ceiling, bay window & luxury bath. 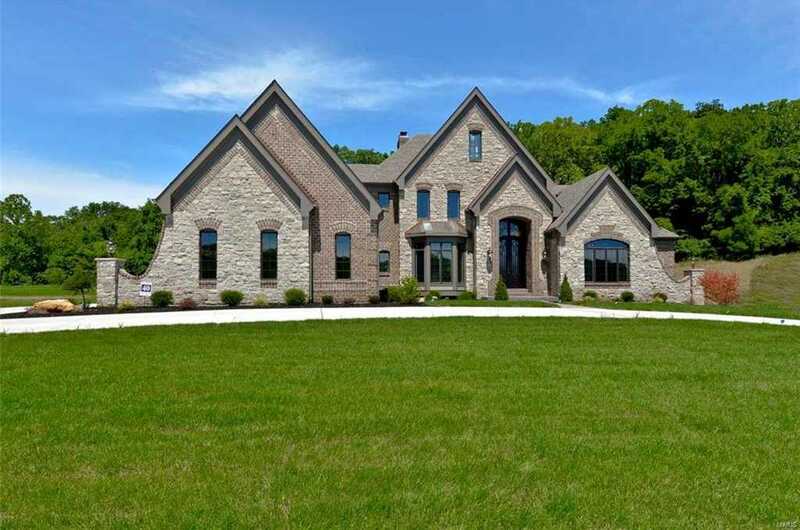 Finished lower level boasts brick/slate/stone wet bar, full bath, fireplace and media room. Lot is perfect for a pool! Other features: in highly sought-out area that is walking distance to multiple schools & MORE! Photos shown are meant to reflect the builder’s quality and are not necessarily of the home to be built.